Whatever your organizing style — whether Visual or Stacker — you can find the perfect Office Eye Candy. No matter what your Organizing Personality Style, your office decor can inspire you. It brightens up your day to see beautiful things in your office. There are perfect products for you whether you’re a Triangle, Visual, Round, Stacker or other style. 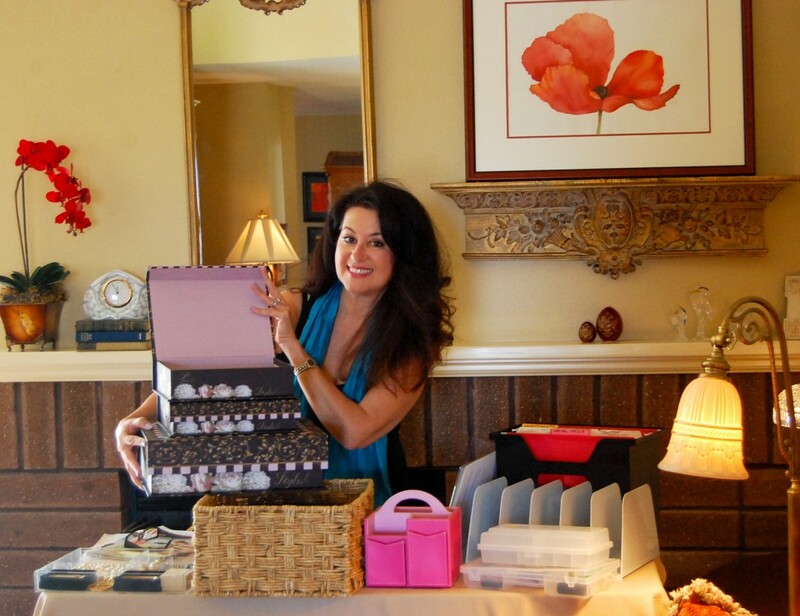 Some companies are catering to women who love to be organized beautifully; rather than just being organized practically. Here is my review of one of those companies, Office Candy, and they have a great sale going on right now. Click the banners below to see and purchase these amazing products! This company offers a large selection of products in bright hues or patterns (like pink and zebra print). They’ve done a great job combining aesthetics and practicality. If you like your office to feel pretty and fun, they have so many cute and clever products you will love. Based on your Organizing Personality Style, some of my favorites for Triangles and Visuals are: Darling Desktop at Officecandy.com! I recommend this for Stackers to go vertical: Leather File Tote at Officecandy.com! And, for you Rounds, what do you think of these darling patterned file folders? I know you can’t stand boring manila folders. Gabbie File Folders at Officecandy.com! Historians — for you Historian organizing styles, the only thing you need to be aware of is that these products are so cute you’ll want to start yet another collection — of Office Candy products! If you are interested in purchasing any of these products and click through to their website from my website or blog, please know that I am an affiliate of this company and thereby stand to gain a small commission on the sale if you purchase the product. I only recommend products that I stand behind 100%. Thank you.